This was a short Labor Day week in the US, so we’ll make this update quick! Andy has finished storyboarding the second set following The Aftermath. The set title is still a work-in-progress, but the items are coming together beautifully. The twists in this story will leave you shocked, with your jaw on the floor! With more and more Player Uniques coming out, we want to spend a respectable amount of time learning more about them. 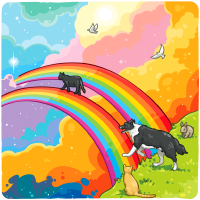 Our Player Unique Spotlight this week highlighted Rainbow Bridge. You can read more about this unique here. We have compiled a list of issues that we are currently working on. If you find something that doesn’t fit into this list, please reach out to us and let us know. Layout Issue (Android Specific) – Entering the app through a push notification, from a landscape-based app, makes the layout freakout. Fixed with next version. Can be worked around now by pulling-to-refresh on the Pouch screen. If you view the editing screen for your profile in settings and don’t update the text, hitting Done will save a blank page. Please keep a backup of your profile text, just in case this happens. If you don’t plan on editing your profile, don’t view it through settings. You can see how your profile looks by tapping your profile picture on your activity. We have discovered that the ram needed for the app fluctuates way more than it should, sometimes peaking over 1gb, which can cause older devices to crash. We are investigating what is causing this, so that we can enhance app performance. We’re currently working on this. Should be mostly resolved with our continuing changes. Under investigation. Usually happens when the app hasn’t been closed. 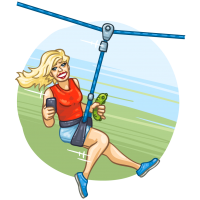 Unresponsive Buttons – Performing certain navigation changes can cause various pages to become unresponsive. Closing the app resolves the issue. We dropped the ball with an update last week. Sorry about that. Hopefully this week’s highlights make up for it. The stork is nearing. There will soon be a little forager in our midst! We’ve planned for the first item in this set to release around the time of our baby girl’s birth… so it can happen at any time now (38w, 3d). Here’s a teaser for what you can expect in this set. Enjoy! Big Riggin’ set is finally complete, along with all of the hidden Uniques! We weren’t kidding when we said ‘There’s more than meets the eye.’ Luckily for y’all, there are currently no more hidden Unique Items with this set. Take a breather, you’ve earned it. We’ve found some real interesting things in our pockets… can anyone relate with us? I definitely have some lint in my pockets. Don’t forget to post your predictions for this set in JenBee997’s forum post. Let’s talk Mixerpool. We’ve gotten to a point with our Mixerpool where we have twice as many items to distribute between #1-999 than we do between #1000 and #1999. With this being the case, it makes ‘shiny mixers’ even more unbalanced over WallaBee Mixers, based on their ratios. Over the coming weeks, we hope to give the Mixerpool some much-needed attention, to provide the community with the best mixing experience. We will also attempt to update the pool at more random times, so other timezones have a chance to empty the pool (The last pool refill only lasted a few hours, thanks to ‘shiny mixers,’ so certain timezones were negatively affected). Thank you for your patience as we help balance this part of the game. With golden items easily obtainable, creating a surplus of Golden Mixers was way too simple. This was never our intention with allowing Midas items to create Golden Mixers, so we are pulling back a bit of how frequently Midas items are obtain. We apologize that our negligence with leaving this unchecked for this long. We have adjusted where golden items can be found to help with this attempt to help balance things. Items change where they’re found every now and then, and golden items are no exception. 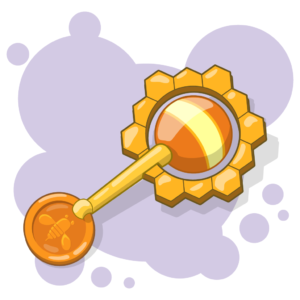 All Midas items can be found by opening a Safe (forged from Orange and Pink locations) or available in the WallaStore. EDIT: The Carnival of Curiosities has been released as a series on NeonMob! Check it out! This week marks 3 years of WallaBee’s shutdown announcement. Let’s take a moment of silence to remember the bullet we dodged. With more and more Player Uniques coming out, we want to spend a respectable amount of time learning more about them. Our Player Unique Spotlight this week highlighted Floempies 4 Life. You can read more about this unique here. It’s time for another weekly update! Grab some popcorn and have a read. WallaBoo is coming soon! WallaBee’s 2nd annual WallaBash event is happening the last weekend of October, 2018. Reserve your spot today! Benson has reached even more locations around the world today. If you’re lucky, you’ll find him at verified monuments/sculptures near you! If there aren’t any of these verified locations nearby, add one! Be sure to take a look at the Places Guide to ensure it will get approved. Speaking of the Places Guide, please make sure to provide any necessary information when requesting a new place within the game. If you aren’t standing at the right location when submitting, please hold the pin on the map to drag it to where it should be. There are hundreds of requests every day and only so many BeeKeepers to fulfill the requests. Help us help you! With more and more Player Uniques coming out, we want to spend a respectable amount of time learning more about them. 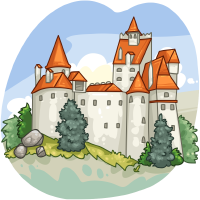 Our Player Unique Spotlight this week highlighted Bran Castle. You can read more about this unique here. New things on the horizon. Where does it start?? Where does it end? We won’t know till we’re ’round that bend! We’ve begun digging around in our pockets to find… well, whatever’s in there! There are some great guesses in the forums as to what’s coming next, but I suppose you’ll have to stick around to find out. This set is brought to you by a new artist joining our team: Lilibeth Arao. She has worked with the Freeze Tag team on producing artwork for other titles, and has agreed to work in the wacky world of WallaBee with us! Benson has reached some new locations around the world. If you’re lucky, you’ll find him at verified monuments/sculptures near you! If there aren’t any of these verified locations nearby, add one! Be sure to take a look at the Places Guide to ensure it will get approved. Knock knock. Who’s there? Aftermath. Aftermath who? No, Aftermath 2! That’s right, the second part of the Aftermath series will begin in September. I’m sure there’s many questions about what happened to Goldie, the Bears’ house, and poor Gingerbread’s foot. We can’t promise that all these questions will be answered, but we can promise that this set will be worth the wait. To help generate some excitement about this next installment, we’ve added two new WallaPapers for mobile and desktop (along with various older backgrounds). We hope you enjoy! With more and more Player Uniques coming out, we want to spend a respectable amount of time learning more about them. 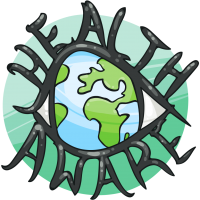 Our Player Unique Spotlight this week highlighted HealthAware. You can read more about this unique here. Another week has come and gone. We’ve finished tending our gardens and are ready to hit the road in style – Trucker Style! That’s a big 10-4 from us at WHQ. Grab your cap and shades, this is gonna be a long ride! We have updated information about MH-BOO Bash and WallaBoo! We’d love to see you out for the fun if you’re able to attend. It’s happening the last weekend in October, so you can expect for a ghoulific event! A friendly reminder to our community of wonderful players: Play Nice. Remember, according to the ‘Don’t Be A Jerk’ rule, those who don’t play nice don’t get to play. No one likes rude, inconsiderate people, so please be on your best behavior when interacting with others in the community. Does anyone remember the situation with #711 a few years back? We’d hate to take similar actions again. There’s currently a small location approval backlog. We are working hard to verify locations for everyone and appreciate the patience. If you submitted a location and it’s been over a week since you’ve seen it appear on the map, there are two possible results. One, the place is still sitting in our list. We hope to get to it soon! Two, it was deemed as unable to be verified at this time. 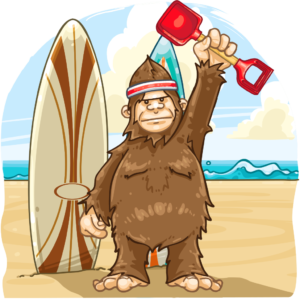 If the location does not appear by the end of the weekend, please feel free to followup with Support@WallaBeeGame.com with the name of the location and any helpful information to help verify it. With more and more Player Uniques coming out, we want to spend a respectable amount of time learning more about them. 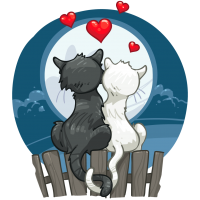 Our Player Unique Spotlight this week highlighted Moonlight Love. You can read more about this unique here. How did your sandcastle-building go? Lose too many spades and buckets in the process? No one said that making art was easy, but the community did a great job! All of the mixes were found within 30 minutes of the official’s “whistle.” We were thoroughly impressed by how quickly everything took place, considering there were no hints given as to which references you would need. Well done! Are you planning on attending WallaBash in October? The first WallaBash took place last year during Munzee’s MHQ Bash. With the excellent turnout, we have saved a place to do a second WallaBash this year. More information on this will be available very soon. We hope to see you there! There’s one more item left in Weed ‘Em And Reap! If you were around during Friday the 13th, you know what it is. Once the last item goes live, we won’t have any sets live. Oh no! What are we to do? I suppose we should release our next set! Grab your keys, some snacks, and visit the restroom… because we’re hitting the open road! We’d hate to have a 10-100 this soon into the drive. With more and more Player Uniques coming out, we want to spend a respectable amount of time learning more about them. Our Player Unique Spotlight this week highlighted QoD. You can read more about this unique here. We have received reports that the bio doesn’t always save or randomly disappears. This is under investigation. We’re in sunny California today, in preparation for tomorrow’s FTHQ Cirque Du Munz 7th Birthday Celebration at Irvine Regional Park! Do you know anyone who’s going to be in attendance? 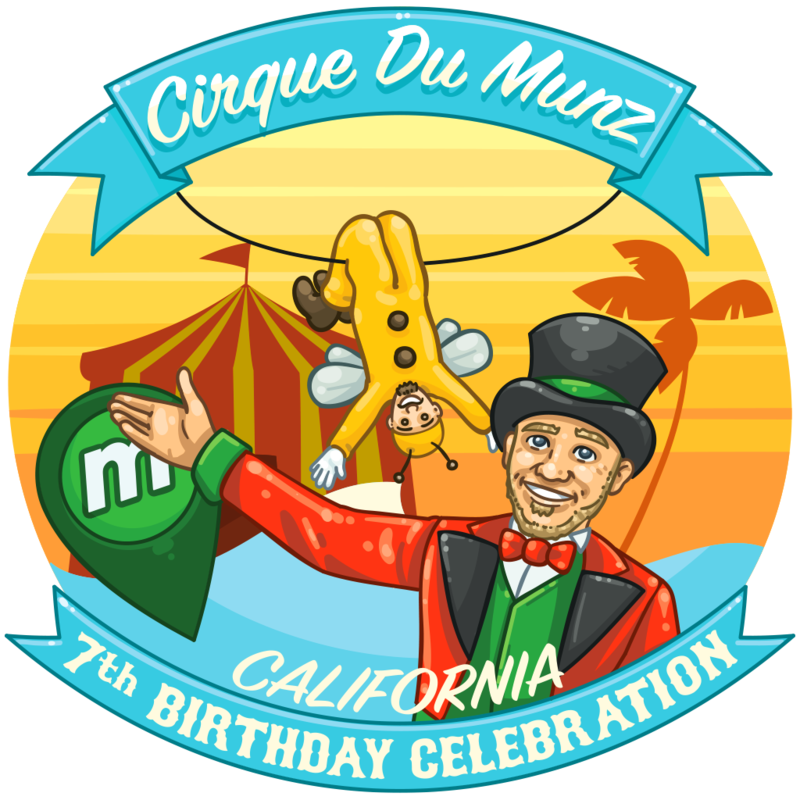 There’s a fun California-themed variant of 7th Munzee Birthday Unique to be had for attending (we’ve highlighted it below). So, last Friday… We jinxed ourselves by mentioning the Bad Bandana in last week’s blog. It seems that planning ahead on Friday the 13th was a bad thing, as the database decided it would be better to release every item we had in reserve at the same time, a week or two before their actual release date. If you weren’t around for the madness, don’t worry about it! It’s in the past. The good news on this topic is it should have been fixed by now, and shouldn’t happen again. Cross your fingers! Do you have your section of beach saved for the upcoming sand castle competition? Don’t forget a few spades and buckets; we’d hate for you to fall behind on resources during your build! Since you already have your Sand Plot reserved, all you’re waiting for is the official’s whistle to blow, at which point it’s a race to the finish. Prepare yourselves with some points of reference for your art. Let’s dig in! What do you get when you mix a Bull Dog and Aviator Shades? With more and more Player Uniques coming out, we want to spend a respectable amount of time learning more about them. 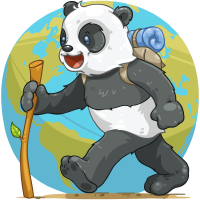 Our Player Unique Spotlight this week highlighted Traveling Panda. You can read more about this unique here. Cake or pie? Why not a piecaken? Mmmm… Sounds like we have a tasty new Unique to design. How was your weekend? Did you make lots of wishes to receive Patriotic Mystery Boxes? Regardless of how much you participated, we hope you enjoyed the festivities. A small shoutout to Rupal, who made 91 Patriotic Mystery Boxes with their Hope #639. Very impressive! As mentioned in a previous Weekly Buzz, there’s a sandy competition happening at the beach! Make sure you’re prepared with the tools of your trade, and a point of reference or two, if you plan on participating in the fun. Don’t say we didn’t warn you! Saturday is funday around WHQ! 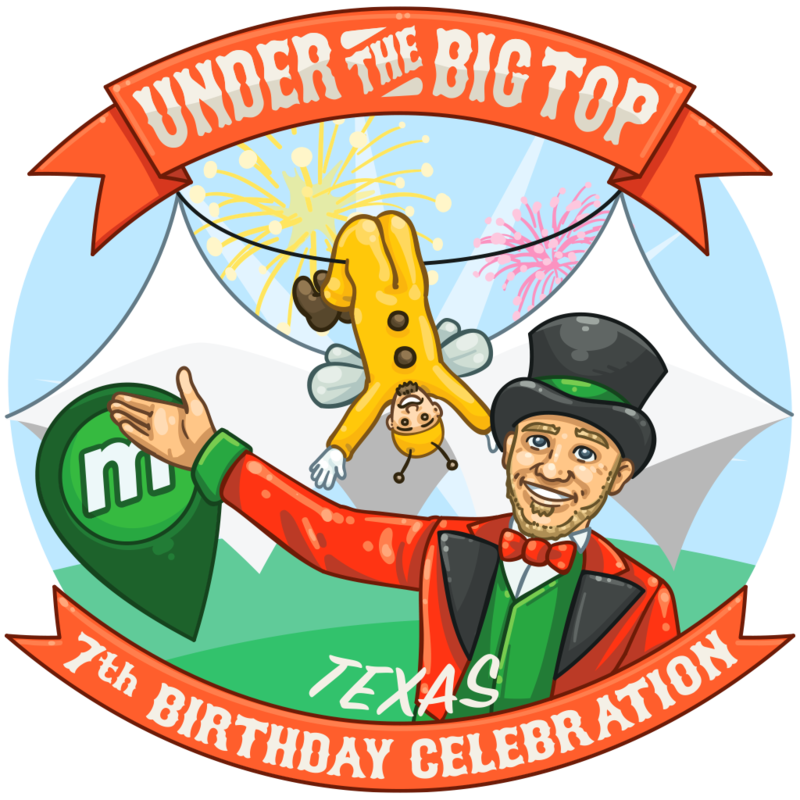 We’re celebrating Munzee’s 7th Birthday with an event in Allen, TX. 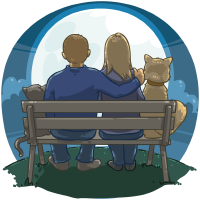 Although the true focus is on Munzee, we’ll be celebrating with a commemorative Unique for all players! A special variant will be made available for those in attendance at either the TX or CA event. Don’t trade it away, because you’ll only get one! Do you love the gnome in Weed ‘Em And Reap? You can now show off this beautiful little guy on a brand new t-shirt in the online store! We’ve also added a few other physical products to our shelves, including WWH2O beach towels and Pouch Creature evolution t-shirts. Take a look! Want to see other new designs? Submit your suggestion. Minor adjustments have been made to the Wishing Well, capping wishes to 60. There is no added benefit to wish counts over 50, so we’ve made this adjustment to help players save precious resources. With more and more Player Uniques coming out, we want to spend a respectable amount of time learning more about them. Our Player Unique Spotlight this week highlighted Kopjafa. You can read more about this unique here. July 10th, 2012: The first Branded items were released into the game! These items included: Highlights Icon, Sheep Up!, Nakrum, ExpenseMagic Wand, Mangatar, and ItemBrowser Icon. July 12th, 2012: Cowboy Boots was the first item to kick off Foraging at Fort Griffin. Who knew this item would be so rare? July 13th, 2015: Bad Bandana happened. The first in an ever-growing mini series of ‘bad’ items. These come about when a set item release really messes up and a Unique sounds more fun than a botched item release. It’s not a great part of our history, but it is history. When things go wrong, we do our best to make them right. Thanks for keeping with us through thick and thin. July 14th, 2016: We were still plagued by the annoying Friend Bug and 512 errors. Luckily, we don’t deal with those exact issues anymore. If it’s not something, it’s another. One step at a time. Today marks another week done in the world of WallaBee. Are you having fun taking advantage of the Patriotic Mystery Boxes? We sure hope so! They’ll remain mixable through the 8th! 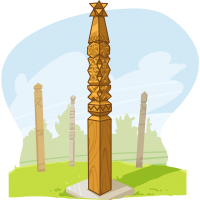 50 more Bensons have hit the road this week, traveling to verified monument/sculptures around the globe. Is one near you? Chart them out between # 251 and #300. How does your garden grow? Hopefully lively! Make sure you’re well supplied for your plants to keep growing. They need hydration! Summer is heating up! It’s time to grab your buckets and spades and meet us out at the beach! There’s an exciting sand castle competition starting soon that you won’t want to miss! Mixerpool refills? Always fun! There’s another BIG one coming soon. Keep your eyes peeled for some very low RareBees hitting the pool for some summer fun! With more and more Player Uniques coming out, we want to spend a respectable amount of time learning more about them. Our Player Unique Spotlight this week highlighted HooBoo. You can read more about this unique here. July 4th, 2013: Grand Entrance allowed everyone to enter WallaBee World for the first time! July 4th, 2014: The first Patriotic Mystery Box was released. July 8th, 2017: July’s Video Games Day released, highlighting some of your favorite WallaBee characters as 8-bit art. A website easter egg also accompanied this item: RetroBee! PBATENGHYNGVBAF BA QVFPBIREVAT GUVF UVQQRA ZRFFNTR! VS LBH SVTHERQ VG BHG, RZNVY FHCCBEG SBE N FHECEVFR TVSG. Update 2.2.5 is still incubating at the moment. We hope to have it ready for release soon, but don’t currently have an estimate to share. Thanks for your patience! We have submitted some of our artwork to NeonMob in hopes of creating a series within their platform. We have been informed that our submissions were accepted and will be available very soon for NeonMob players to begin collecting. WWH2O will be the first series they release, beginning tomorrow, June 30th! If you’re not sure what NeonMob is about, you can learn more about them here. Check out the Room For Growth section of this post for updated information on some of the pesky issues we’ve been dealing with. One noteworthy bit of information deals with NewBees and their profile bios. New players now begin playing with a default bio, ‘Hi, I’m new to WallaBee. I joined the game on <insert creation date here>.’ Already existing accounts will not have the ability of saving a blank bio in the near future. With more and more Player Uniques coming out, we want to spend a respectable amount of time learning more about them. 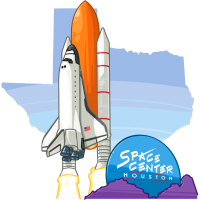 Our Player Unique Spotlight this week highlighted Space Center Houston. You can read more about this unique here. If a profile bio is looked at through Settings without any changes made, and Done is used to go back to the previous page, it saves a blank profile. We have a fix for this in place coming soon, but have put in place new default bios for NewBees. The ability to keep a blank bio will not be available in the future.